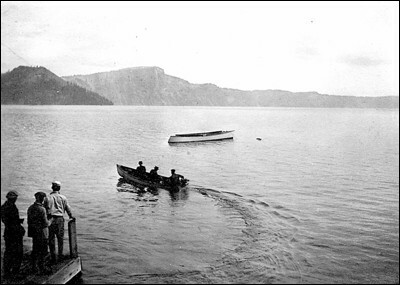 Fishing on Crater Lake in southern Oregon around 1910. This photo was taken by my grandfather, Frederick Armstrong Daugherty. Treks to Crater Lake were made frequently in my family. I made my first trip in 1953 when I was six months old.